Choosing a lawyer can often be a difficult decision and resolving legal issues both confusing – and intimidating. At Pollock & Company, we recognize these concerns and strive to make your time with our office as comfortable and stress-free as possible. Noah joined Pollock & Company in 2014. Noah obtained his Bachelor of Arts degree in Psychology from the University of Winnipeg in 2006 and his Bachelor of Laws Degree from the University of Manitoba in 2010. 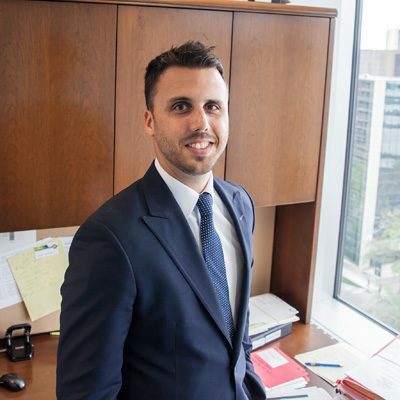 After completing law school, Noah articled at Hill Sokalski Walsh Trippier LLP. In 2011 he was admitted to the Manitoba Bar. He practiced with Hill Sokalski Walsh Trippier LLP until 2014 and has since been working at Pollock & Company. 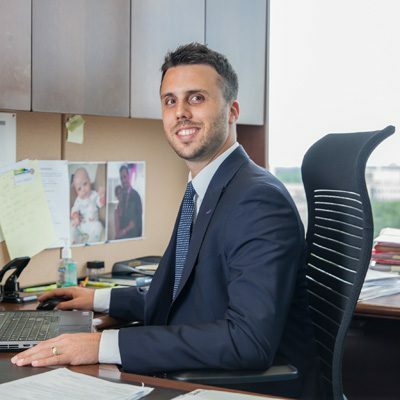 Noah’s primary areas of practice are medical malpractice, personal injury, and civil litigation. Noah has appeared in all levels of court in Manitoba, as well before various administrative tribunals, including appeals committees at Hockey Manitoba and Hockey Canada, disciplinary hearings at the Law Society of Manitoba and Standing Committee at Winnipeg’s City Hall. Noah acted as Associate Commission Counsel to the Commission of Inquiry Surrounding the Circumstances into the Death of Phoenix Sinclair, an inquiry that examined Phoenix’s death and the child welfare services delivered to her and her family.